Show your team pride and add style to your tailgating party with this NHL All Star Floor Mat by FANMATS. This area rug is decorated in official New York Islanders colors and logo. Made from 100% nylon carpet and non-skid Duragon® latex backing. Machine washable. FANMATS is a leading manufacturer of tufted floor mats and rugs specializing in officially licensed mat products. Each FANMATS product is produced in their 250,000-square-foot state-of-the-art manufacturing facility in Suwanee, Georgia, using high luster nylon yarn in 16 oz. face weight carpet. 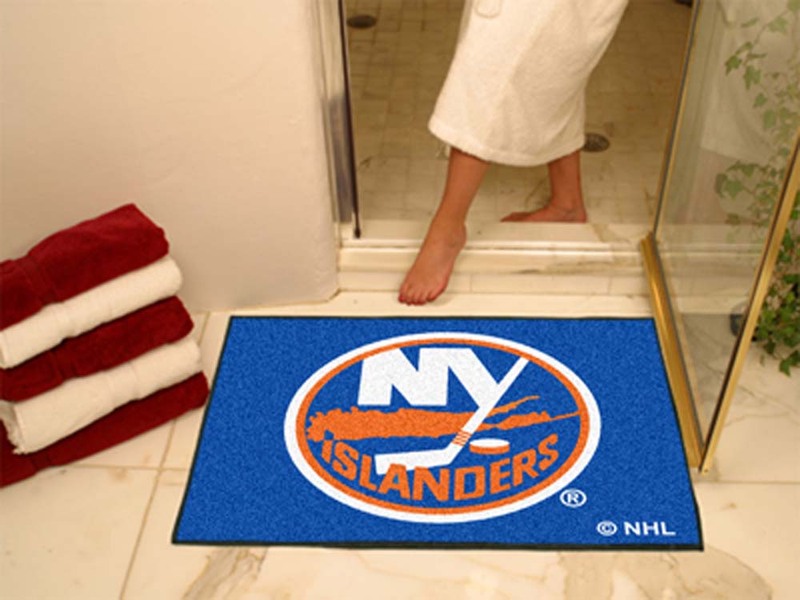 You found New York Islanders 34" x 45" All Star Floor Mat in category Teamware / Logo and subcategory MultiSport Accessories. If you need to buy more MultiSport Accessories than you are on the righ place. Show your team pride and add style to your tailgating party with this NHL Ulti-Mat by FANMATS. 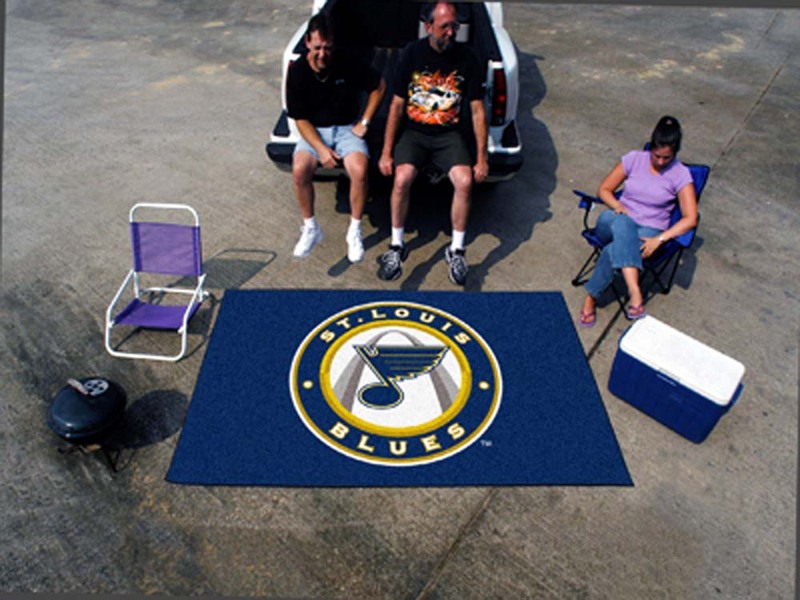 This mat is decorated in official St. Louis Blues colors and logo. Made from 100% nylon carpet and non-skid Duragon® latex backing. Machine washable. FANMATS is a leading manufacturer of tufted floor mats and rugs specializing in officially licensed mat products. Each FANMATS product is produced in their 250,000-square-foot state-of-the-art manufacturing facility in Suwanee, Georgia, using high luster nylon yarn in 16 oz. face weight carpet. Pear-shaped design offers back support or rounded appearance as needed. - Complies with voluntary CPSC Guidelines for zipper closures. - 100% Recyclable Product. 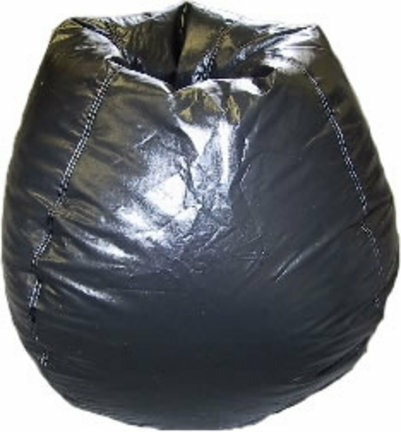 - Product is Refillable - Proudly made in the U.S.A - Double-Stitched with Clear Nylon for added Strength.Features:Premium 11.5 Cubic Feet / 10 lbs./ 112" CircumferenceLocking Zipper for added Child SafetyDouble-Zippered for Security100% Polystyrene Fill for EXTREME ComfortPremium Choice of VinylWeight limit for this item is 250 lbs. This NHL Round Puck Mat by FANMATS is the perfect area rug for all those hockey fans out there. 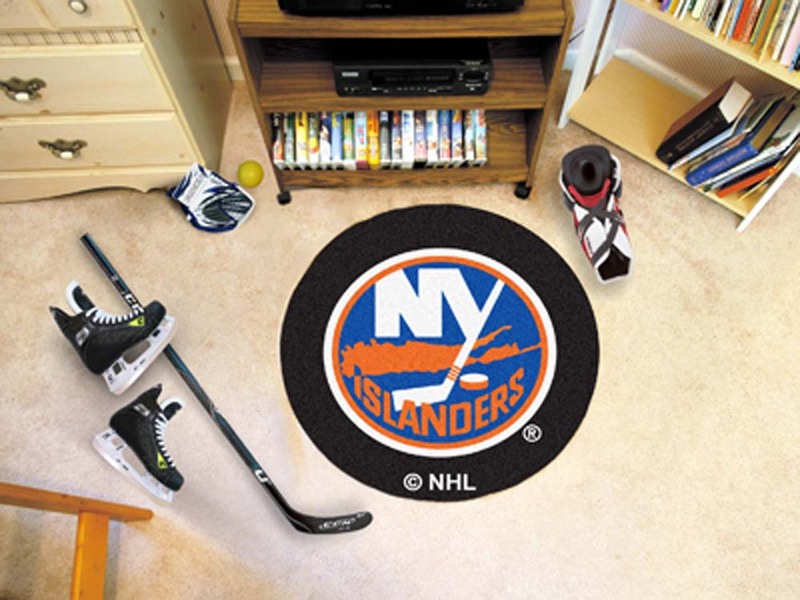 This mats comes in the shape of a hockey puck and is decorated in official New York Islanders colors and logo. Made from 100% nylon carpet and non-skid Duragon® latex backing. Machine washable. FANMATS is a leading manufacturer of tufted floor mats and rugs specializing in officially licensed mat products. Each FANMATS product is produced in their 250,000-square-foot state-of-the-art manufacturing facility in Suwanee, Georgia, using high luster nylon yarn in 16 oz. face weight carpet. Show your team pride and add style to your tailgating party with this NHL All Star Floor Mat by FANMATS. This area rug is decorated in official Pittsburgh Penguins colors and logo. Made from 100% nylon carpet and non-skid Duragon® latex backing. Machine washable. FANMATS is a leading manufacturer of tufted floor mats and rugs specializing in officially licensed mat products. Each FANMATS product is produced in their 250,000-square-foot state-of-the-art manufacturing facility in Suwanee, Georgia, using high luster nylon yarn in 16 oz. face weight carpet.